Chris is our founder, our leader and our director of photography. Basically, he makes all the difficult decisions and makes it possible for us to do the cool stuff we get to do. Chris first picked up a camera when he was 10 years-old and has been hooked ever since. Through his pursuit of photography, Chris has traveled the globe making images of wildlife and wild lands for the past 25 years. It was in 2016 that Chris decided to leave his day job in finance to pursue his passion full-time. Always looking toward the future, he knew VR had the possibility of changing the way the world understands wildlife and so The All Around Project was born. Alli oversees worldwide production, sponsorships and partnerships for the All Around Project. Prior to joining the AAP, Alli worked as a producer at CNN where she worked on some of the world's most talked about interviews and breaking news coverage. In 2017, she earned an Emmy nomination while working on Anderson Cooper's interview with Sally Yates. She was also named among the "Most Influential Women in Election Media" in 2016 by the Huffington Post. Alli met Chris (our founder) while working at a rhino rescue in South Africa where a great friendship and business relationship was born out of their love of wildlife. Alli lives right off the picturesque Yellowstone River in Livingston, Montana with her two rescue pups, Lou and Hobbes. McLean is a digital strategist and marketer with more than a decade of experience in the travel and hospitality industry. She has worked to produce creative and actionable digital campaigns with brands including Marriott, Hyatt, Four Seasons and Pan Pacific. McLean also often writes often writes about hospitality around the world for publications including Forbes Travel Guide, Robb Report and BRIDES. If you hadn't guessed it yet, she is a passionate travel connoisseur. Some of her favorite destinations include Tuscany, Cabo San Lucas, Anguilla and Las Vegas. When she's not on the road, you'll find her at home in Northern Virginia with her husband, Nick and her dachshund, Oliver. Whether he was writing music in his bedroom or shooting portraits in his garage, Tom has always made time to cultivate his passion for the arts. In high school he started playing guitar and singing in a band, and by college was performing up and down the Willamette Valley. It wasn’t until Tom bought his first smartphone with a camera that he discovered his new passion – photography! For over 7 years now, Tom has explored various facets of the visual medium, ranging from landscape photography, architecture, portrait work—and most recently—VR filmmaking. Tom recently left his career in law to become a full-time photographer and VR editor, and we are very happy to have this jack-of-all-trades working with The All Around Project. Andrew is a professional outdoor commercial photographer videographer and timelapse cinematographer based in Portland, Oregon. He has huge passion for the outdoors, and is constantly seeking out adventure and unique and engaging ways to capture what he sees. He now spends over a third of the year traveling across the world on commissioned shoots and on adventures capturing content for his personal photo collections. His work has been featured in publications such as National Geographic, The Huffington Post, The Weather Channel, CBS News, The Daily Mail, Fstoppers and Bored Panda. Alex Segal is a Producer and Editor of both video and VR. He is constantly challenging himself to put his viewers in a place they would never go, and feel things they would never feel. Alex was introduced to Virtual Reality while working at Chris Milk’s Here Be Dragons (Fka verse.works) where he worked on projects that helped define the medium. He went on to CNN to cover foreign and domestic breaking news in 360. He also field produced for CNN’s award winning VR coverage of the 2017 eclipse. Alex is a native New Yorker and loves to take portraits and bake cakes with his mom and sister. Alex is an award-winning director of photography, producer and editor with nearly a decade of experience as a professional story teller. He spent almost seven years at CNN, where he covered breaking news, politics, travel, conservation. 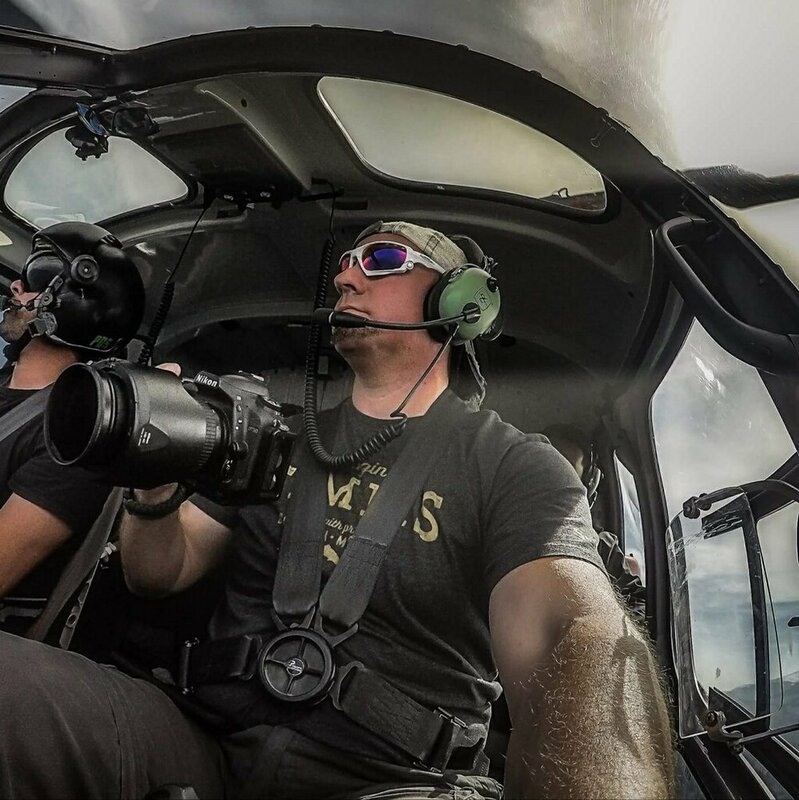 He has experience shooting video underwater, in airplanes, in sub-arctic conditions and more. He spent much of last summer traveling between New York and Montana where he honed his skills filming wildlife in Yellowstone National Park. Alex's awards run the gamut. In 2015, he was named to The Hill's Fifty Most Beautiful People in Washington list (he jokes, along with President Obama). And in 2016, Alex collected an Edward R. Murrow Award for his work on CNN's presidential election coverage. When he's not freelancing or exploring, Alex kicks it in Brooklyn. Jeffrey S. Green of Dynamic Photography and Dynamic Homes is a passionate Oregon Landscape Photographer and Professional Homebuilder. Jeff is inspired by the deepest respect for the great outdoors. He developed this admiration over a lifelong passion for fly fishing and snowboarding Oregon’s beautiful rivers and mountains. Jeff grew up in Salem, Oregon and has always embraced Oregon’s vast outdoors as his own recreational backyard. When it comes to landscape photography, Jeff loves exploring off-the-beaten-path areas, hiking up to stunning Cascade Mountain lookouts and also searching for hidden waterfalls. Annabelle grew up in Hawaii going on all-day hikes and ditching school to go to the beach. From a young age, she’d wanted to recreate natural environments for people to be immersed in but wasn’t yet aware of the existence of VR. Naturally, she began experimenting with VR production 4 years ago. This led to working on the VR team at CNN for 2 years in New York. She is now traveling through India learning about different conservation efforts. When she isn’t producing videos, Annabelle writes about fringe cultures and manically fan girls about music producers she’s recently discovered. Conor gets the distinction of being our first intern and shooting assistant. He’s here to help where needed and do the small work that ensures that everything goes smoothly. Conor is a recent graduate in photography, and is eager to put his skills and ambition to work. He grew up in Colorado and has spent the last six years in Montana, exploring often and always with a camera in hand. He spent several months shooting a documentary project about the Little Bighorn battlefield in Wyoming, and several years shooting local events for his college newspaper in Bozeman. Most of all he enjoys finding new experiences and capturing them for the enjoyment and enrichment of others.